Are you planning a long journey and are looking for some tips on bringing your furry friend with you? Well, don’t worry because we have plenty of tips and tricks here that you can use to help make the trip super easy and a lot less stressful. 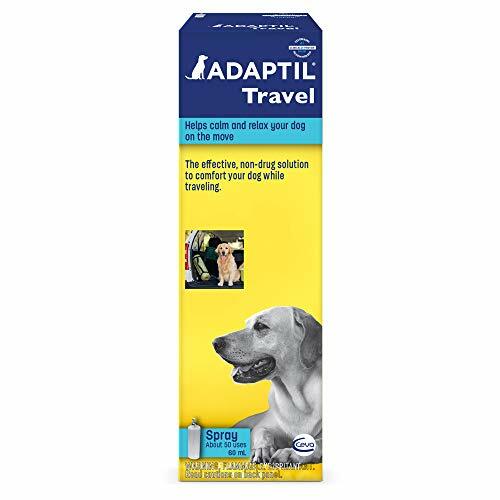 Read along, and we’ll show you four tips to travel long distances with your dog, and a couple of products that can help you along the way. Let’s dive right in! Comfort plays a huge part in how well your pet travels. One of the ways you can ensure their comfort is with an easy to carry travel bed or mat. One we suggest is the Kurgo Loft Wander — this travel bed was actually made using Microtomic Ripstop material with 140 msg polytech, which means this travel bed is waterproof and super tough. That said, you won’t have to worry about your dog tearing it up or getting it all wet! 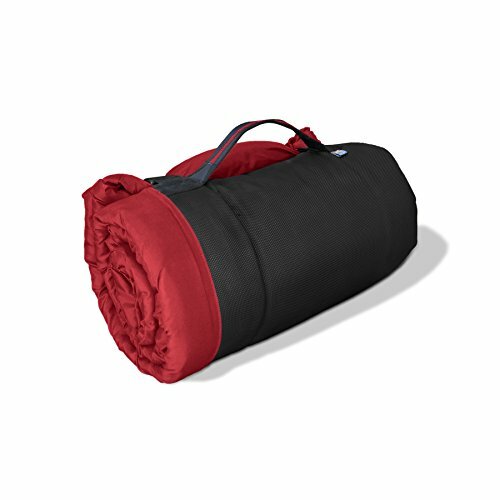 This travel bed features a handle and velcro strips which makes it super easy to carry and wrap up and as a bonus if purchased by an authorized Kurgo dealer you can receive a lifetime warranty so even if something does end up ruining this travel bed you can easily get it replaced hassle free! When should you feed or water your dog on long trips? Knowing when to feed your pet is nearly the most important aspect of a trip! Depending on when your leaving, you can usually feed your pet a full meal. For example, if you have 6 hours or more before leaving, then feeding your pet a full meal would not be an issue. If you’re on the plane or in a train we suggests keeping food to a minimum, which in turn reduces the amount your pet has to use the bathroom. It’s suggested while on a flight or in the train to keep water to just a few sips every hour or two. 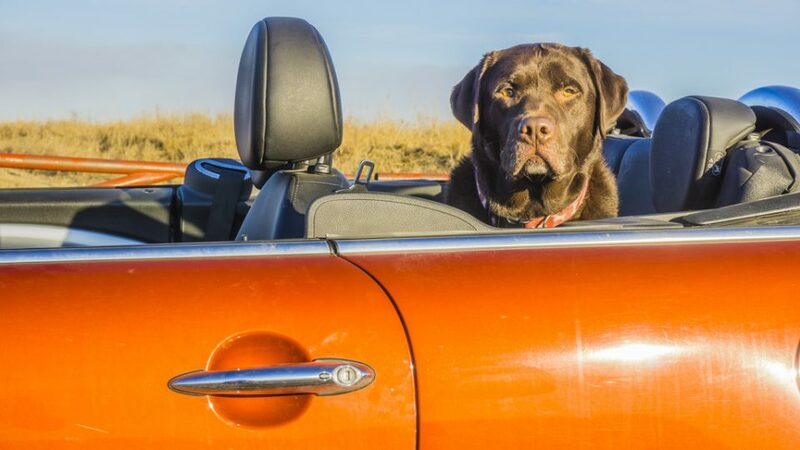 Your dog can get nervous or unsettled when going on a trip, mostly because of the unfamiliar territory and being out of his or her comfort zone. There are a couple things you can do to reduce that nervousness. One way you can keep your dog calm is by exercising him to get all that extra energy out before you leave. 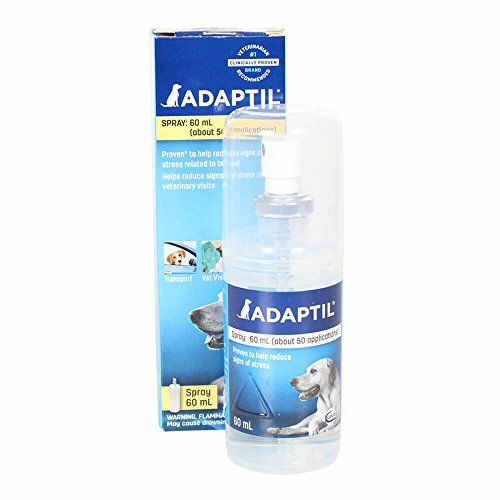 Another way to help keep your dog calm is by spraying the carrier or thing he or she will be using with dog pheromones — this will help keep them more calm and relaxed while in the plane or car. A fantastic way to go about keeping your furry friend calm in a plane is by boarding early so that you can request bulkhead seats. This will give you and your pet more room, which can help with your pets anxiety levels during the flight. Most of the time this is free, but some airlines do require you to pay extra for these. There are many ways to travel — car, plane, hiking, etc. No matter how you decide to travel it’s important to know how you can prepare to make things a lot easier on you and your dog. When traveling by plane it might be useful to know where in an airport you can find a place for your dog to relieve himself or herself. A way you can go about doing this is by finding a map on the internet and downloading it for offline use — many airlines offer this free. Also, most of the time you can easily figure out which gate you’ll be most likely arriving at by calling the airport ahead of time and asking nicely which can make finding the right map super easy. When traveling by plane, one thing you may not be aware of is that some airlines require certain specifications of your dog, one being that dogs need to be muzzles. This is not only for the safety of others, but also for your pet. With that in mind, we suggest the Baskerville Basket Muzzle, which is soft lightweight and hearty. Made with a malleable thermal plastic rubber, it can be heated and reshaped for personal use. So with this muzzle, you can be sure your dog is comfortable and won’t be able to scare any passengers onthe airplane! 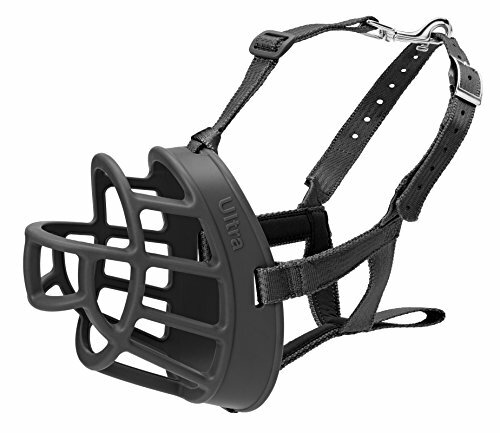 This muzzle was made with the dogs in mind, so it does feature a more open muzzle, allowing your dog to freely eat or drink with no restriction. There is so much preparation when going on a trip, whether it’s on a plane, in a car, or even hiking. We hope these tips and other items helped relieve some of stress or anxiety on you and your dog. Do you have any tips or favorite products that you use on the go? Let us know in the comments section below.